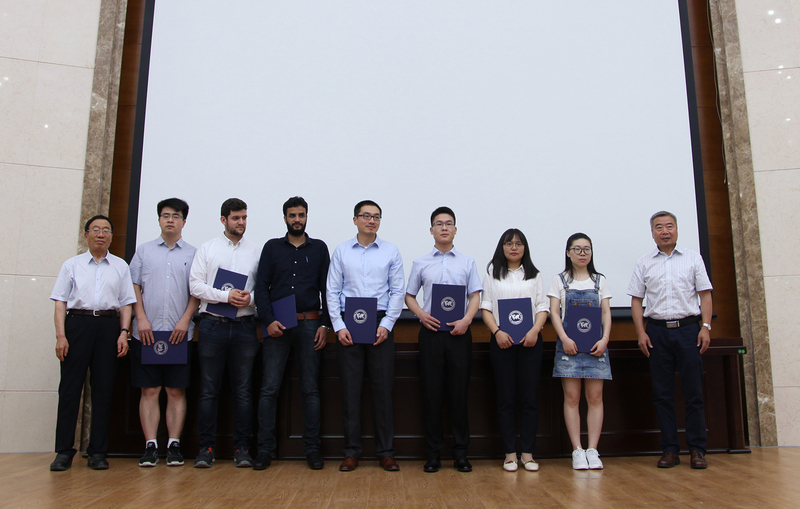 On June 8, the awards ceremony for ISBE International Bionic Innovation Competition and award-wining representatives’ academic symposium was held in Jilin University. Professor Zhenning Liu, the dean of the Bionic Science and Engineering Institute in Jilin University hosted the Ceremony. Professor Jianqiao Li, the General Secretary of the ISBE made the welcome speech. 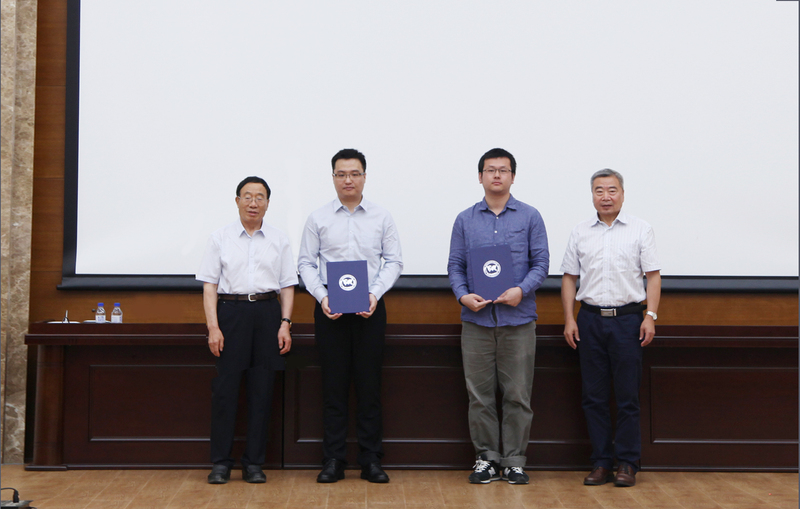 Professor Zhiwu Han, the director of the Key Laboratory of Bionic Engineering of Jilin University announced the award list. 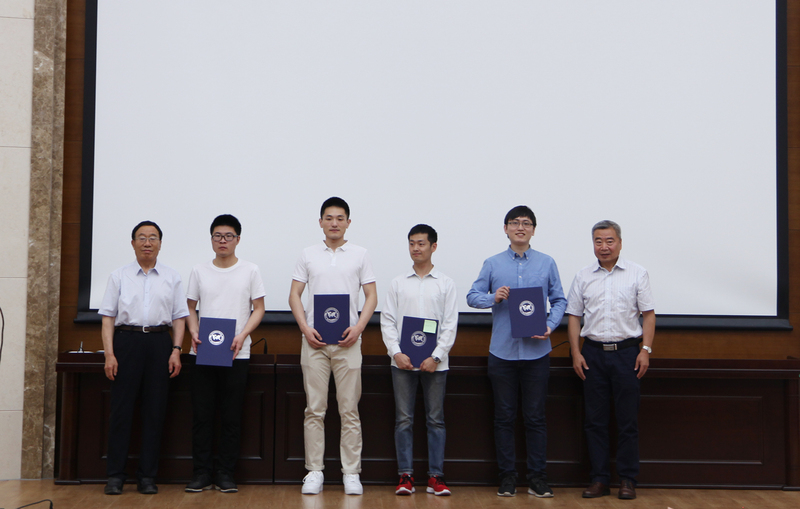 The Standing Vice-President of the Society, academician Luquan Ren and academician Shouhua Feng from the School of Chemistry of Jilin University attended the ceremony and awarded winners of the competition. 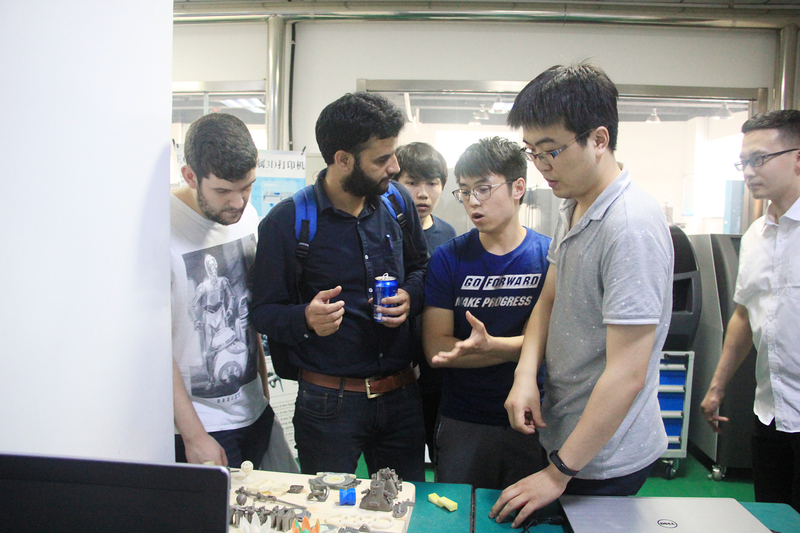 The representatives from other related departments of Jilin University participated in the event. The awards ceremony was attended by 13 winning representatives and 12 universities including: University of Michigan (USA), US Food and Drug Administration (USA), University of Manchester (UK), University of Lisbon (Portugal), Chiba University (Japan), Indian Institute of Technology Guwahati (India), City University of Hong Kong (China), Technical Institute of Physics and Chemistry of Chinese Academy of Sciences, Tsinghua University, Dalian University of Technology, Henan University of Science and Technology and Jilin University. During the event, the award winning representatives made academic reports with topics based on their winning works. Among them were works regarding to the topological liquid diode, bionic noise reduction, bionic painless needles, and directional separation of micro water-in-oil drop, heat transfer applications and other hot issues topics raised great interest of participants and became the subject for effective exchange and discussion. 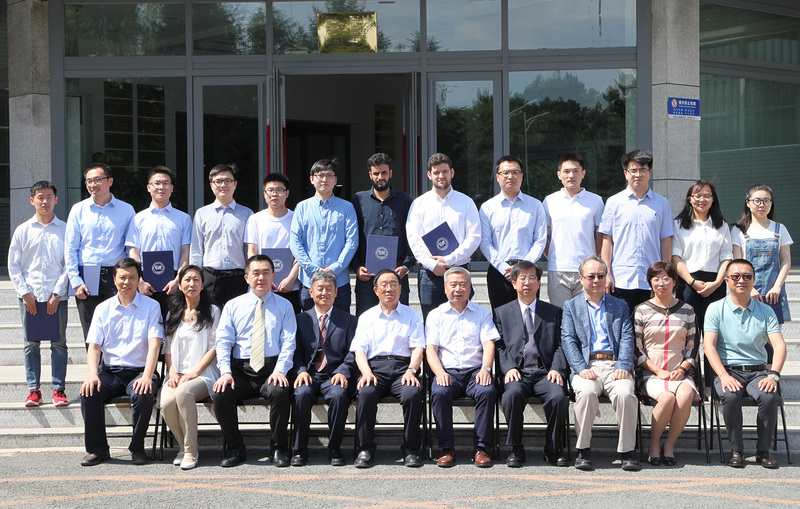 After the ceremony, the award-winning representatives visited the Key Laboratory of Bionic Engineering of Jilin University and gave a high evaluation of its achievements in the field of bionic engineering. 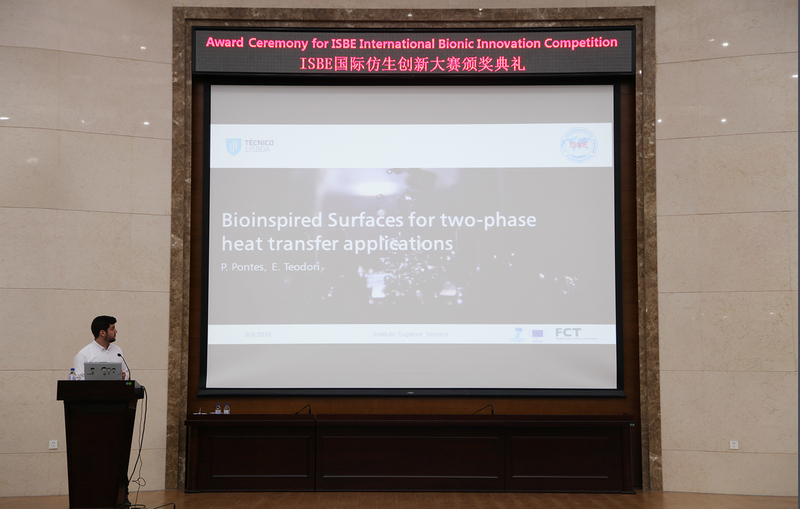 The first ISBE Bionic Innovation Competition sponsored by Jilin University was started in July 2017 and has attracted the worldwide consideration of the ISBE members. The organizing committee had received more than 130 works from 12 countries and regions including UK, USA, Canada, Netherlands, Switzerland, Romania, Portugal, South Africa, Japan, India, China and HongKong. The evaluation committee was composed of 9 specialists from around the world and carried out the evaluation on the principles of equality, openness and fairness. After initial assessment and two rounds of careful evaluation, 33 works have been selected for the Grand Prizes including 3 Premier Prizes, 10 Secondary Prizes, and 20 Tertiary Prizes. In the Meantime, 15 Special Awards including 5 Best Design Awards, 5 Best Creativity Awards, and 5 Best Popularity Awards have been determined based on the polling of online votes. The Bionic Innovation Competition is a new brand activity for ISBE. It encourages and stimulates the creative thinking of postgraduate students in the field of bionic discipline, and plays an important role in promoting the development and application of scientific research in the field of bionics. The success of the award ceremony has a great significance for enhancing the cohesive force and influence of the Society.